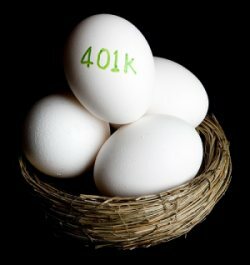 For employees who refuse to beef up their retirement contributions, a recent statistic may work to change their minds: According to a Fidelity Investment’s healthcare cost estimate, a 65-year-old couple retiring in 2012 with traditional Medicare coverage will require $240,000 to cover medical expenses alone. This figure is 4 percent higher than last year and continues the trend of annual increases since 2002. • Using a retirement readiness assessment to find out how many employees participate in a company retirement plan based on demographic group. If certain groups are found to participate at low rates, presentations should be directed specifically at these groups to motivate them to increase participation. • Changing participation barriers through actions such as shortening waiting periods for new hire enrollment or eliminating enrollment paperwork. • Using tailor-made retirement educational programs catering to each age group. Entry level college grads may be informed of company fund-matching policies and options for investments while employees nearing retirement can receive information focused on spreading retirement savings throughout retirement. • Since the idea is to get employees to save more, a company may switch company-matching policies to include a higher proportion of employee contributions. For example, a policy matching 100 percent for the first 2 percent of pay could be changed to a 25 percent match for the first 8 percent of pay. • Maintaining a practice of regular monitoring of plan participation and adjusting policies as necessary.